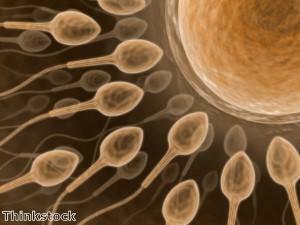 Antioxidant supplements may help to improve men's fertility, evidence suggests. Men with reduced fertility may benefit from taking a high-quality antioxidant supplement, research suggests. Experts at the New Jersey Medical School and Hackensack University Medical Centre in the US recently wrote about the link between antioxidant supplementation and improved male fertility in the review journal Seminars in Reproductive Medicine. They observed that a recent Cochrane review - conducted by scientists in Australia - had concluded that women whose male partners took antioxidant supplements tended to benefit from a significant increase in live birth and pregnancy rates. According to the review, between 30 and 80 per cent of cases of male subfertility may be due to the effects of oxidative stress on sperm. The authors looked at the results of 34 randomised controlled trials - involving 2,876 couples - and found that male antioxidant use was associated with a more than four-fold increase in pregnancy rates among partners of men undergoing assisted reproduction. Antioxidant supplementation among men was also associated with a 4.85-fold improvement in live birth rates. These supplements are thought to improve male fertility by reducing levels of oxidative stress, which can have a harmful effect on the production of sperm. However, the Australian review authors noted that the evidence they saw was only preliminary. In light of this, both they and the New Jersey experts emphasised that further studies - including randomised controlled trials - are needed to confirm the role of antioxidant supplements in the treatment of male infertility. For those who wish to give antioxidants a try, the best approach is to use a high-quality antioxidant complex such as AlphaGuard Plus, which provides a wide array of different extracts to help combat oxidative stress throughout the body. Supplied by The Really Healthy Company, this superlative product contains many of the most effective antioxidant nutrients and complexes, such as grape seed extract, curcumin extract, quercetin, alpha lipoic acid and green tea extract. Experts insist that taking a potent variety of antioxidants in this way is far better than concentrating on a single extract, as the different nutrients and complexes work synergistically inside the body.